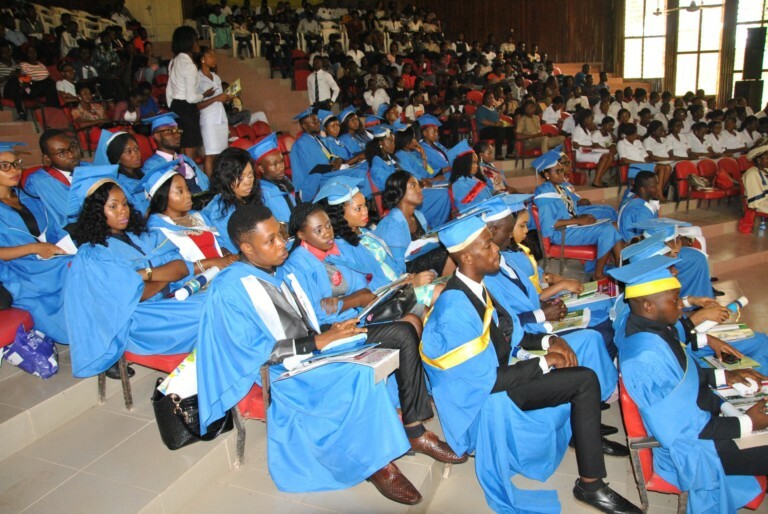 The Abia State University, Uturu (ABSU) has inducted a new set of Doctors of Optometry (OD) in her 23rd Induction ceremony of the 2016/2017 batch. In his opening remark, the Vice-Chancellor, Professor E. Uche Ikonne, thanked the Executive Governor, and visitor to the University, Okezie Ikpeazu, PhD, for his listening ears and support, which made the accreditation of its programmes possible. According to him, the University has approval to run new Departments of Engineering, Public Health, and others, because the Governor, is a research oriented scholar whose academic passion, is not deterred by the responsibilities and challenges of his office. He maintained that the department of Optometry is a pacesetter in the University, being the first to build a lecture hall for itself, by self efforts of staff and students, as well as first, to organize an academic programme, that makes it possible for one to be a Professor and a consultant at the same time. He said, “The pedestal we have set is high, and we can’t go low”, stating, he feels fulfilled having nurtured a department whose products are making waves all over the world. She charged them to always strive for Excellence and Service, for which the University is known, and be good ambassadors of their Alma-mata. In their separate Remarks, the Provost, College of Medicine and Health Sciences, Professor Christian Aluka, the Dean Faculty of Health Sciences, Professor O.C. Ahuama, and the President Nigerian Optometric Association, Dr Damian Echendu, challenged the new Doctors of Optometry, to abide by the oath of the profession and make honesty, Sincerity, and Uprightness their guiding principles. While administering the oath to the inductees, the Registrar, Optometrists and Dispensing Opticians Registration Board of Nigeria (ODORBN) Professor (Mrs.) E. B Uzodike, who is also an Alumnus of the University stated that ABSU is blessed to have Professor Uche Ikonne, who is a great planner and achiever as the Vice-Chancellor, appreciating the University management, the lecturers, staff, and parents of the graduates for all their efforts and sacrifices, to ensure a successful completion of the course by the inductees. She advised the new (ODS’) to make the guidelines given to them their bible during their internship, and ensure they do not follow anybody for vision screening within the period except with permission, stressing that any report of misconduct will mean the intern will repeat his/her internship. The high point of the occasion was the oath taking ceremony, and presentation of certificates to the inductees, special presentation to the Best Graduating Student (2016/2017) Dr Nnamdi E. Okore and the Best Clinical Student, Dr Chidinma U. Jibueze, as well as the Honors awards to others. The Registrar’s (ODORBN) award for the best graduating student still went to Dr. Nnamdi E. Okore, while the Vice-Chancellor’s award for the best Clinical student was given to Dr. Chidinma Jibueze.